FOR THE REST OF THIS YEAR. I tend to see fall as a new beginning, but I was recently reminded that we're nearing the end of the year. As in, sooner than later, I'll be writing 2015 on calendars, checks, and stationery as well. Can you believe that this year has flown by so quickly? So with only a few months left in the year (has it really sunk into your mind yet? ), I've decided to make my fourth quarter goals list, as inspired by Kenzie at Hello, Neverland. 1. CONTINUE TO LIVE LIFE TO THE FULLEST. It sounds vague but seeing as full is my word for the year, that's one of my top priorities. 2. GET BACK TO RUNNING. I've had to take a break because of my knee but I've really missed my weekend morning runs and am hoping to get a few more in the mix before it gets dark and rainy. 3. FOCUS ON SELF-CARE. I'm quite terrible at it (blog post to come!) and it's something I've noticed runs in the female side of the family. But a wise mentor reminded me that if I want to take care of others, I need to also take care of myself. 4. FINISH READING BOOKS. I have so many books on my shelf that I have yet to start and finishing at least one is on my to-do list. And yes, I do like to make achievable (aka easy/lame) goals. 5. MAKE THE MOST OF MY "HOME." A lot of you know that I still live at home and while I can't really claim my home as "my home" I can still contribute and make the most of it. For me, that means helping out with chores, walking the dog, or just hanging out with my family. Now my goal is to learn how to make a cut-out text over image graphic like that!! So cool. I'm getting back to running after injury too and have really been missing it - we just have to remember to take it slow, but won't it be great to get out there on the crisp fall mornings again? Love this rest-of-the-year goals idea. To finish reading books and to finish writing a MG book. this year really has flown by - i ust can't believe it! i love your list! there is just something about embracing ALL OF THOSE THINGS! and you can do it - embracing life to the fullest, running! self-care! it is so good and so needed! i'm also bad at finishing certain books. and yay for homes! enjoy where you are right now! First of all, I love the picture at the top of this post! Tell me how you did that, please? i love the picture as well. How did you do that? Oh running, i should start that up again. I haven't done it in so long! 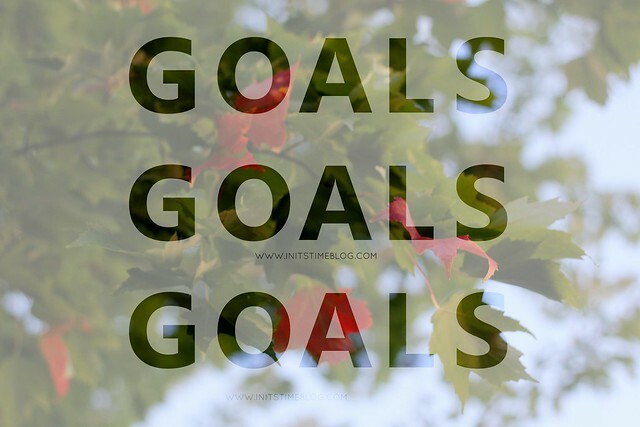 I'm always inspired to reset my goals once fall comes around! My big one right now is portfolio building! I want to have done at least three or four portrait sessions by December. I just keep ending up cramming my days with other things. :( So I guess another goal will be to somehow become a better time manager! And you are soooo right. I'm hoping to get in a little run/jog this weekend (or later this week maybe) because I've missed the feeling of running, you know? I'm not a great runner, but I realllly love the feeling of running and definitely miss it! And like you said, a run during a crisp fall morning sounds PERFECT. Just perfect. You should totally make you own rest-of-the-year goals list! I'd love to see what you choose! YESSSSSS. Let's do it! I would so love to read a book alongside you! Meg (Me with the Three) and I and another blogger named Christine want to read Grace for the Good Girl by Emily Freeman. Have you read that one? I'm glad I'm not the only one who wants to finish reading books! I have way too many to finish and I cannot wait to finally finish them all. :) What are MG books? I'm super intrigued that you're writing a book! I thought it was a brilliant idea, too! I think it's a lot of fun and I'd love to see what you have on your list. Thanks!! It was actually a lucky discovery on PicMonkey! I feel like I should do a tutorial because it's really hard to explain in text. :) Buuuut, when adding text to the photo, I selected Overlay on the font and then added my own overlay (that was faded) over the image. Likely makes NO sense, but I say experiment and see what happens! And I haven't gone running a few weeks (or month?!? ), too! I'm hoping my knee is good to go now and am hoping for the chance to go soon! I miss the feeling of a good run! Ooh, that's a great one! I've been wanting to build my portfolio for awhile now and would loooove to have you take my photos. If only we lived closer! :) I hope you get a chance to schedule some soon! I think you mentioned you might have the opportunity to with a blogger or something. Did you get a chance to? They are middle grade. I know I can't wait to finish my too. I will try to figure it out! I think a tutorial would be a SUPER popular post. You should definitely write one up. After all, I know that you have ALL kinds of time on your hands right now. lol? ;) Seriously though, that post would go places! 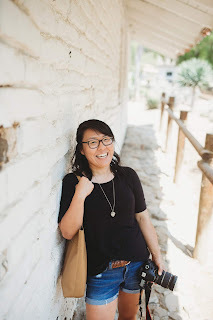 You'll love Kenzie's posts on writing topics and she also has a lot of helpful and inspiring things to say about the actual blogging process. I'm still discovering things on her site. Haha, how did you know I have ALLL the time in the world for stuff like that? But seriously, I am hoping to get a chance to write tutorials and such. It's not my forte, but we'll see! Let's just say it could definitely get wordy, haha. Self-care has definitely been one of my priorities these last few years. While it sometimes looks like treating myself to a facial or manicure, it's often as simple as curling up on the couch with a good book and hot tea with my phone in the other room. Agreed! Self-care is something I actually have to start focusing on because I don't want to wear thin in my work (or blog for the matter) because I'm not taking the time to take care of myself. Often times, self-care for me looks a lot like reading (blogs included!) and listening to music or watching TV. I hope you get a chance for some self-care this weekend!